When you think about a scientist, what picture pops into your head? 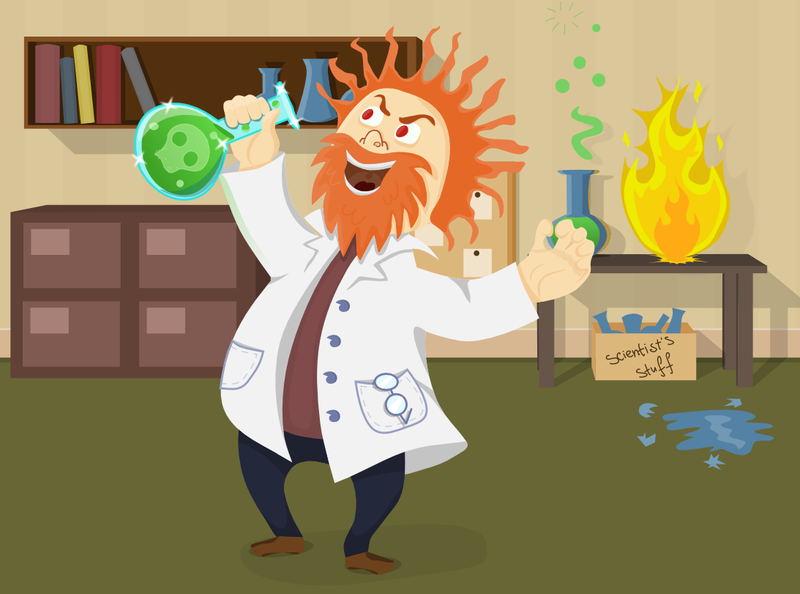 I’ll bet you’re picturing a lone scientist with wild hair, toiling away on some world-changing problem in lab. You know the one – that classic, crazy picture of the scientist. 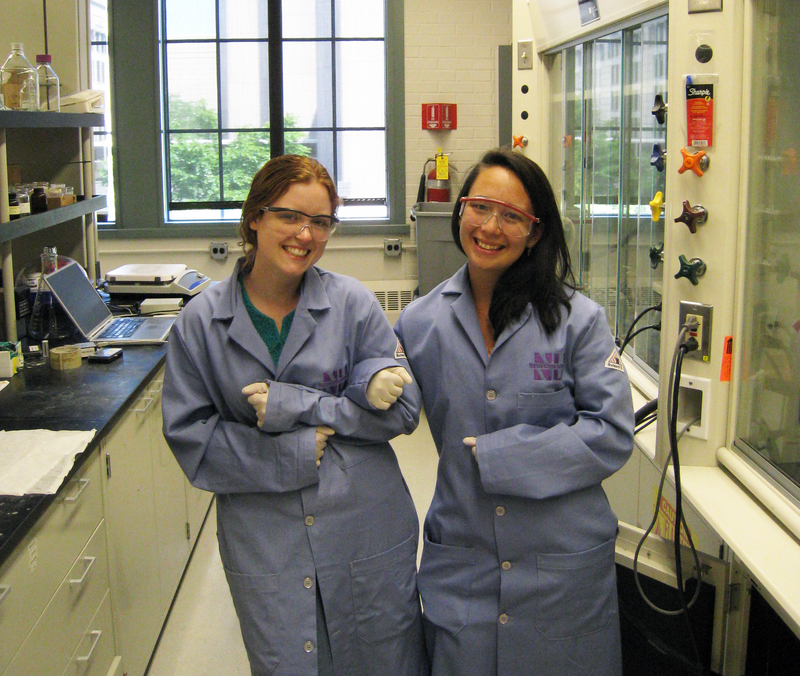 The truth is, when you’re a scientist one of the best parts of the job is getting to work with other scientists. It’s sharing your ideas with other people and together creating the best science that you can! 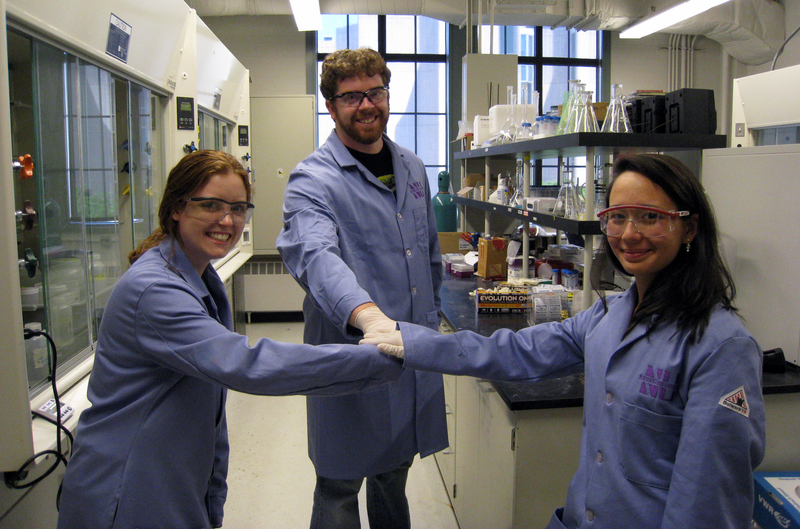 There are many ways that teamwork can make science work better. By working with lots of other people, everyone can use their strengths. If I am a great experimentalist – meaning I can work really well in the lab with the instruments and the reactions, and you are a really excellent theoretician – meaning you are really good at modeling complex phenomena, what a perfect pair we would make! Together we could think of an interesting question to answer – and we could do things better and faster than either of us could do alone. What time savings! What savings to our resources and the environment! What a great new friendship! This kind of relationship happens all the time in research. The complex questions that science strives to answer give lots of opportunities for people of different backgrounds to contribute to the answers by working together. Think about Watson and Crick. You have probably heard about James Watson and Francis Crick, both molecular biologists who worked together to discover the structure of DNA. But have you heard of Rosalind Franklin? It was her x-ray diffraction photographs, shown to Watson and Crick by her colleague Maurice Wilkins, that gave Watson and Crick important clues as to the structure of DNA. Franklin died in 1958, but Watson, Crick and Wilkins went on to share the Nobel Prize for Physiology or Medicine in 1962. The results from the collaboration of this group of people showed the world exactly what life is made of – DNA, persistence and teamwork. 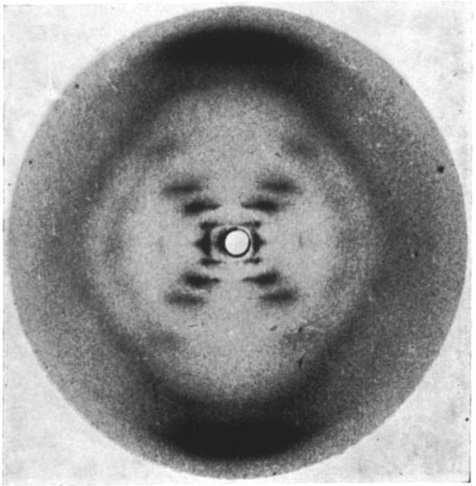 The infamous “photo 51”—one of the x-ray diffraction photographs Rosalind Franklin took that helped solve the mystery of the structure of DNA. In his book, Group Genius: The Creative Power of Collaboration, Keith Sawyer discusses how great insight and innovation stems from people working well together. He discusses the “myth of the lone scientist” and how many inventions that we commonly think of as individual achievements, such as the light bulb, are actually the results of successful collaborations. In order to invent the light bulb, Thomas Edison, as well as the many scientists working for him at the time, built upon existing knowledge. In fact, the first incandescent light was created by Humphrey Davy in 1809, followed by contributions from at least 20 scientists attempting to make a practical incandescent bulb before Edison’s team became involved. Edison even purchased a patent from Henry Woodward and Matthew Evans in 1879, the same year he applied for a patent on the light bulb his team invented! Another reason that teamwork in science is key to innovation and discovery is that it is impossible to keep up with the incredible speed of scientific knowledge creation. According to this report in Nature, over 300,000 scientific papers were published by United States researchers in 2012 alone. How can one person keep all of that old and new information in their head? It’s not that easy. Teamwork means that you don’t need to know all of the information about a topic. It’s like having a lot of computers connected to different hard drives of data working on one problem. The more processing capability and the more data, the better! 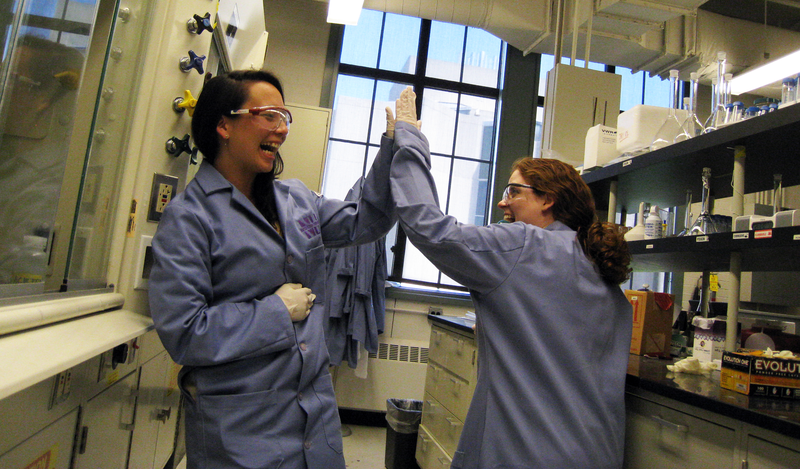 In fact, using teamwork in science is such an important topic that it is a science in itself! Here at Northwestern University, we are about to have the Fourth Annual International Science of Team Science, or SciTS, Conference. This conference is about the connection between the science of working in teams and the practice of working in teams. It’s a way for the people studying groups of people to present their research on how to better work together. You see, scientists are so awesome that we even have scientists that study how best for other scientists to work together to do science! So, the next time you find yourself thinking about the life of a scientist, don’t think about the lone person stuck in a lab trudging through experiments (though, I have to admit, that does happen from time to time). To this scientist, anyway, being a scientist means being a part of a team, working together to figure out a little more…about anything!